What's inside a "Hello Barbie" surveillance toy? Mattel's Hello Barbie has a microphone and a wifi interface, and it transmits the phrases it hears to a central server in order to parse them and formulate a response. Mattel claims that the data isn't being retained or harvested for marketing purposes, and assures parents that they can make Barbie stopping eavesdropping on them at will. But does it work? 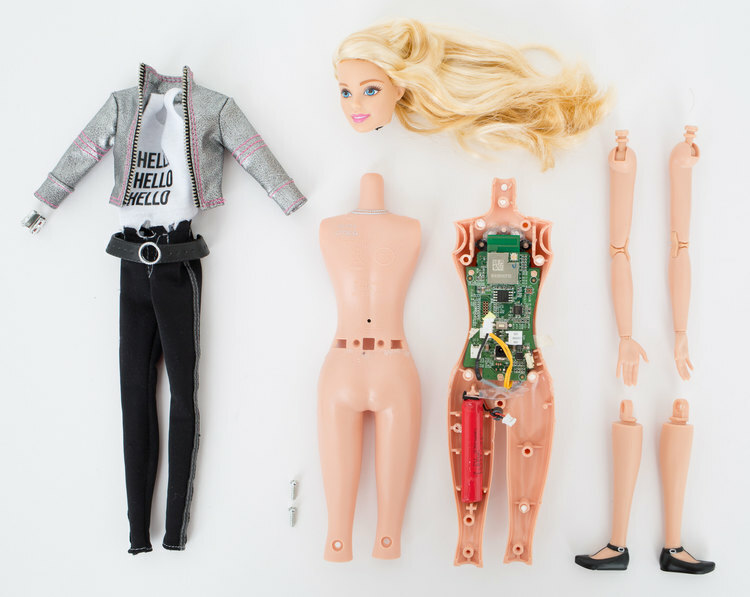 Somerset Recon has done a teardown on a Hello Barbie, examining its components and dumping its firmware. Part one of their report is online now, and it's a little dry: Hello Barbie has some standard IoT chips -- a sound codec, a wifi card, etc -- but until Somerset posts their analysis of the firmware dump, this is pretty preliminary stuff.